They’re not quite the cheapest cars, but based on their safety ratings and overall value, these are some of your best bets as a college student. Packing up the trunk with your necessities, pulling out of the driveway of your family home, and heading off to your future: it’s a rite of passage for many college students. When choosing the car that will take you through one of life’s most important adventures, you have a lot to consider. We’ve broken down all you need to think about when choosing your car for college, along with our top 10 picks for the best values on the market. Sticker price: There are lots of inexpensive new cars on the market, and there’s always the used market. (Try looking at best-of lists from the past few years to know what you should be targeting in your used car search.) Ultimately, you need to sit down, look at your monthly budget, and determine what you can afford before anything else. Maintenance and repairs: If you purchase a new car, repair expenses will be covered under warranty for the first few years. If you purchase used, pay close attention to what—if any—warranty you’re getting and what it covers. In any case, you should set aside money for minor maintenance expenses such as oil changes and wheel alignments. Used cars may require even more of a budget for upkeep. Pro tip: You know those student discounts you can get at restaurants on tickets? Well, you might be able to get a student discount on your car payments too! If you’re a college student straight out of high school, you are still a relatively new driver. Research shows that younger drivers are more at risk for accidents and have more injuries due to crashes. It’s important to choose a vehicle that will offer you the highest level of safety to protect you while you’re away from home and on the road. College often requires moving far from home, and taking all of your stuff with you. You may need a vehicle with enough cargo space to pack bins of clothes, computer needs, dorm décor, and yes, snacks. While on campus, you might want a vehicle with enough space to transport your friends around town or to weekend getaways. Or, maybe you’ll be in an apartment building with tight parking. Ask yourself if you need a vehicle suitable for big hauls, or if a compact car is your best bet. Buying a car makes the most sense from a financial perspective if you plan on keeping your car for many years. However, the older a vehicle gets, the steeper its repair expenses become. If you don't like the cost and hassle that can come with maintaining an older vehicle, purchasing may not be the best option for you. Leasing is a better bet if you plan trading in your car for another model soon after you graduate, or if you’re unsure if you’ll need a car at all at that point. Leasing also tends to be less expensive than buying over the short term, as repairs are largely covered by the car's warranty for the duration of the lease (typically three years or less). Here are 10 cars that are great choices for college students. They all offer excellent fuel economy, outstanding cargo capacity and value-oriented price tags. They're also leaders when it comes to safety, and every single one earned a perfect five stars overall in crash tests conducted by the National Highway Traffic Safety Administration. Each car includes information regarding starting price (excluding destination charge), cargo capacity and fuel economy. 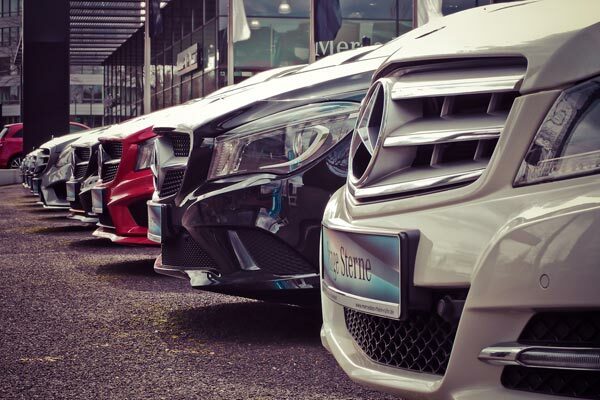 The vehicles on our list are presented in ascending order based on starting price. Other perks: Standard features include 60/40 split-folding rear seats and Bluetooth connectivity. Other perks: Standard features include cruise control, Bluetooth connectivity, and a rearview camera. Other perks: Standard features include Bluetooth connectivity, remote keyless entry, and 60/40 split-folding rear seats. Other perks: Standard features include push-button start, a rearview camera, 60/40 split-folding rear seats, cruise control, daytime running lights, and SMS text message auto deliver and voice reply. Other perks: Standard features include Bluetooth connectivity, remote keyless entry and 60/40 split-folding rear seats. Other perks: Standard features include Bluetooth connectivity, cruise control, a rearview camera, and 60/40 split-folding rear seats. Other perks: Standard features include Bluetooth connectivity, climate control, cruise control, a rearview camera, and 60/40 split-folding rear seats. You’ve chosen a college, a major, and maybe even a roommate. Now, as you choose your car to take you through this academic journey, keep these considerations in mind, and you’ll be on the road to success. Warren Clarke is a passionate car expert and writer for CARFAX. He enjoys sharing advice to help students and parents alike in car buying and ownership.